Who has authority in your life? Are you clinging to the hope that you have power over everything that happens in your life? Or have you given in to the idea that some things are out of your control. Many of us struggle with the idea that we can’t fix some things. We don’t like to be out of control. We don’t like to be questioned. We don’t like to have to prove ourselves. We want to be the authority. Some of us feel like others are always in control of our lives (I’m sure my boys feel that way some times). There is one who should have authority in our lives. He’s the only one who truly has the power to back up His claims, and that is Jesus Christ. The verses for today are an account of what happened after Jesus rose from the dead. Jesus told the disciples to meet him in Galilee. When Jesus met up with them there, some of them worshiped Him, and some had their doubts. Jesus reminds them that He has the authority that they seek. 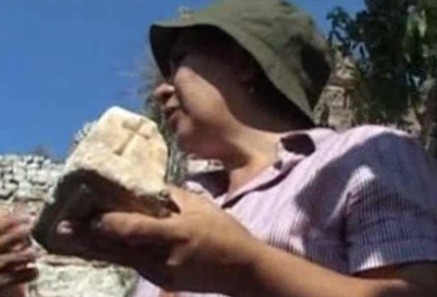 This morning, there were claims coming from Turkey that a piece of the cross that Jesus died on may have been found in a small box with crosses on it. My son and I were watching, and I asked him, “Do you think it’s real?” We had our discussion about it and discussed our doubts. We couldn’t believe it. The news then brought on a priest to talk about it, and he similarly said he was withholding judgement until the archaeologists had dated the item in the box. The priest wanted someone with more authority to help him decide. He wanted proof from a trusted authority before he decided. Are you looking for proof? Jesus understood that seeing him risen from the dead was a hard paradigm shift to make. For most people you die, and you stay dead. But Jesus wanted His disciples to know that they could trust Him. He’s the authority. He’s the evidence. He’s the truth. It was with His authority that Jesus then commissioned the disciples. He is the one who has the evidence, the power, the might and is the truth. It is that authority that the disciples would base their ministries. They were basing their faith on the authority of Jesus Christ as Lord of all. This is an amazing command, and one that Jesus is asserting His authority. If they didn’t get it before, this phrase should have nailed His point home. Jesus is God. He was telling them that He is part of the trinity. He is one of the persons of the Almighty that they have known through faith their whole lives. We too can have faith in Jesus Christ who is the authority. He is who we look to when we need support. Because of who He is we can trust what He has to say. He knows what He’s talking about, He is the Almighty. Because He is the authority, He should be the greatest influence on what we think, say and do. He is in charge, He has power over death and the Devil. It is in being raised from the dead that we are able to see His amazing power and gives us grounds for our faith. He is with us, ever the authority, forever. We can trust Him to always be there and for His word to always be true. He is the authority.